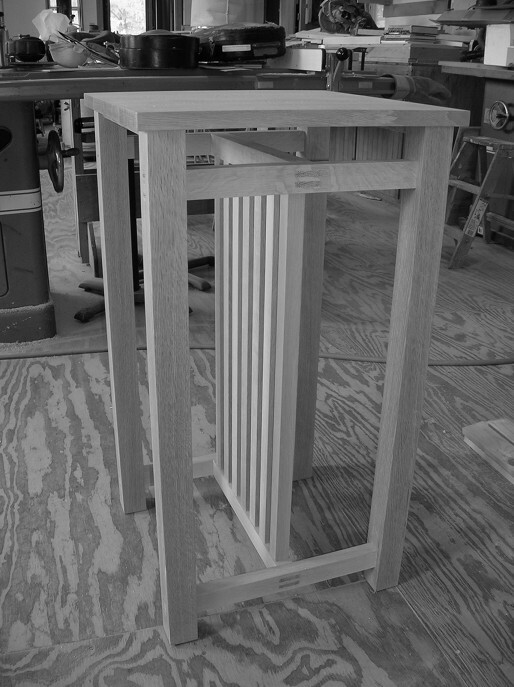 I have been a cabinetmaker and carpenter, full time, since 1983. I have experience in building many types of projects and especially enjoy historic replication and antique repair: somehow I am drawn to those artifacts from the past. Living and working in Vermont and New Hampshire has enabled me to gain experience in the repair of historic buildings and items of furniture, which blends well with my long standing interest (and earlier collegiate studies) in history. I am fortunate in the variety and challenges of my past work, and look forward to a similar mix of projects in the future.